Will E.T. Ever Come Home? Or Will New Mexico’s Environmental Department Leave Him Buried In The Desert Forever? With his big buggy eyes and day-glow heart, E.T. the Extra-Terrestrial stole the hearts of millions of movie-goers back in 1982. In contrast, Atari’s video game based on the blockbuster movie left gamers stone cold. Dubbed “the worst game ever made”, the game was an almighty flop that many gaming experts believe contributed to the decline of Atari. The game – in which E.T. 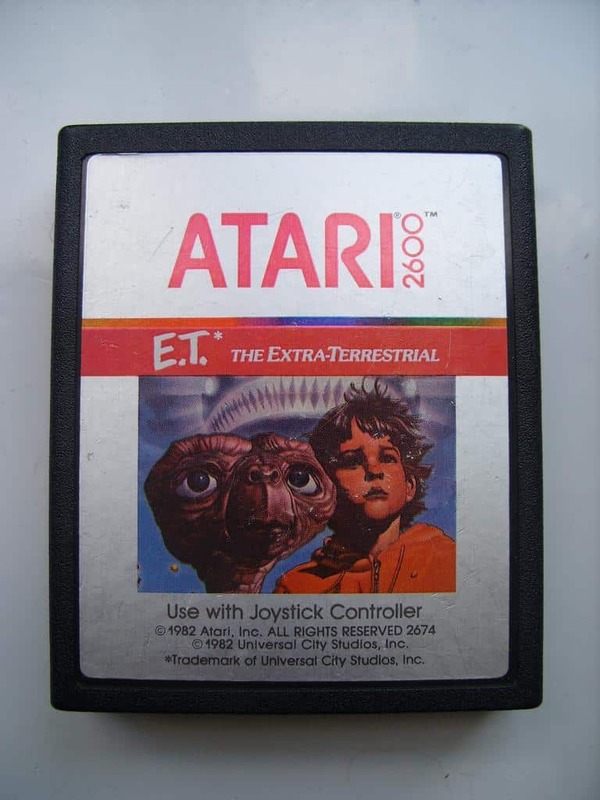 collects parts of a telephone so he can “phone home” – has since taken on mythical status in the gaming community, as the unsold cartridges for this pimple on Atari’s reputation were rumoured to have been dumped in a landfill site in Alamogordo, New Mexico, one dark night back in 1983. But can bad video games remained buried, like a bad family secret, forever? Probably not. Enter Lightbox Entertainment, a production company that is making a documentary about the enduring E.T. fable, in conjunction games firm Fuel Entertainment. The documentary is set to debut exclusively on Xbox. However, last week, environmental regulators blocked the filmmakers’ from digging at the landfill site. The New Mexico Environment Department said that an approved Waste Excavation Plan (WEP) was required before any digging could begin. According to Lightbox, a waste-management consultant is currently addressing the questions raised by the Environmental Department. So, if E.T. is to rise, it’ll be not be at the expense of the environment. Alamogordo is no stranger to intrigue. The city is known for its connection to the ‘Trinity’ test – the first explosion of the atomic bomb – in 1945. It is also the burial place of ‘Ham the Chimp’, the first ‘astro-chimp’ to be launched into outer space.